This is going to be an interesting one. It takes place at the Oaks Course, TPC San Antonio. It’s been played here since 2010 if you’re curious about course history. However it’s being played a few weeks later than usual and that actually is going to make a lot of difference to the conditions so it’s going to be an interesting one. I think these variables are going to really mix things up and I’m not feeling uber confident so I’m going to advise just quarter unit bets this week. We’re going to start with Matt Kuchar and we’re going to bet him to win and E/W. Kuchar is coming off a 9th place in the RBC Heritage and has looked solid here. Minus the erratic weather he may be able to do better than his 4th place two years ago. I’m also on Phil Mickelson to win and E/W. Phil had a bad Masters tournament but he’s had some excellent results this year already. In his only finish at this tournament he came 30th and really struggled after the opening day -2. However in calmer conditions I think Phil can do the business here. Andrew Loupe is a massive underdog at 150/1 but someone that stood out to me. A 4th place finish here 2 years ago but I think his golf skills could work out very well on this course, particular with his form on Par 3s. If you’re looking for course history there’s only been one Shenzhen International prior to this. However the Volvo China Open was also held here in 2014 so that helps matters. 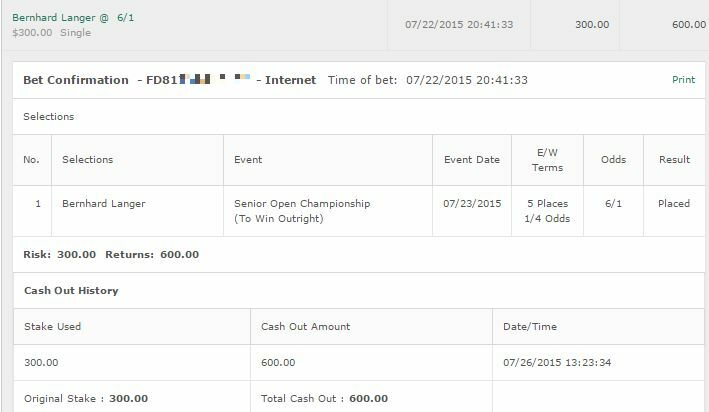 My only bet is Tommy Fleetwood to win & E/W. While not burning it up form wise he’s still had some solid results and this is a course where he has 2 top 5 finishes, the only one amongst the participants to do so. I’ll be risking a half unit on that one. His previous finishes didn’t see him coming in with much form yet he managed to do so well so I’m banking that his current form isn’t a factor. No betting tips for this one. 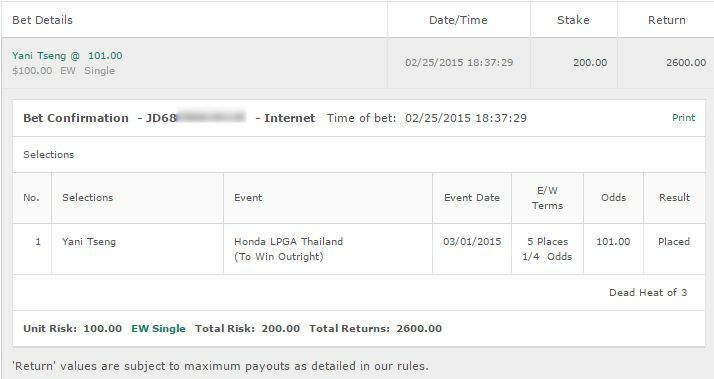 Of note is that Lydia Ko has won this two years in a row now and is a heavy favourite. 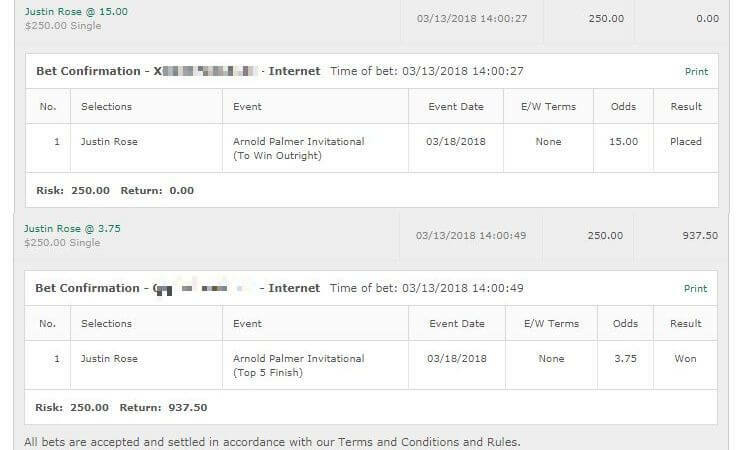 While you may be tempted to bet on her I should note that both times have been extremely close(One in a playoff, the other after a huge -3 last day to win by a stroke) and it will rely on consistency throughout the 4 rounds. While Ko should be favourite I’m just not a fan of the odds. The odds aren’t out for this one yet – it’s the Bass Pro Shops Legends of Golf – but when they are if I have any tips I’ll update this post and send out a tweet to let you know.